A good gym bag can be surprisingly hard to find. It should be generously spacious, but still collapsible when empty. It needs to be durable enough to take the necessary abuse but also stylish enough to be proudly carried around town and into the office. Leave it to a style-focused gym like Equinox to come up with a solution. 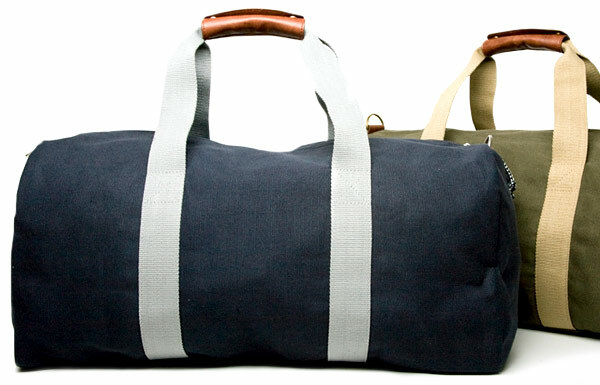 These bags, by the gym's Mavor Deuce line, are lightweight and rugged with an understated style that's one part retro banker's bag and one part military surplus duffle. The medium sized bag, double-stitched from heavy duty, breathable canvas, brass hardware and leather accents, offers plenty of room for your daily gym carry and thanks to a detachable shoulder strap, could even serve as a carry-on or weekender bag. Just remember, when using your gym bag as a weekender, give it a wash before packing. The number of health club members in the United States last year.